The Presidency has finally reacted to the arrest of some judges across the country, insisting that corruption and not the judiciary was under attack. 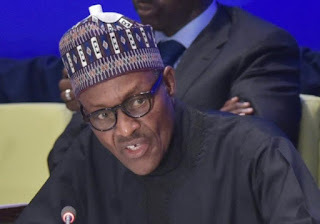 In a statement issued by Garba Shehu, Special Adviser to President Muhammadu Buhari on Media and Publicity,‎ he maintained that “the President reserves his highest respect for the institution of the judiciary as the third arm of government. “To this end, the President will not do anything to undermine its independence. He added that “The recent surgical operation against some judicial officers is specifically targeted at corruption and not at the judiciary as an institution. “In a robust democracy such as ours, there is bound to be a plurality of opinions on any given issue, but there is a convergence of views that the country has a corruption problem that needs to be corrected. “But reports by a section of the media are giving us cause for concern. “The Presidency has received assurances from the DSS that all due processes of the law, including the possession of search and arrest warrants were obtained before the searches.